Would You Survive An Audit? No one wants to go through a tax audit, and if you’ve been through one, you certainly know how much time is required to gather the information. The burden of proof for line items on a tax return is always on the taxpayer’s shoulders. 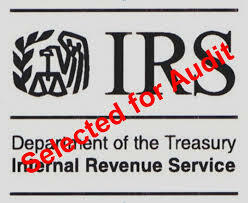 Tax agencies generally have three years from the filing date of the tax return to provide notice of an audit. Permanent records don’t have a specific retention period. These are kept for as long as you hold the investment and at least three years from the date the tax return is filed that reports the sale of the item. For example, if an investment resulted in a large loss that is deducted over many years, proof of the cost of the investment must be kept until three years after the last deduction is taken. Another example is the basis of a rental property that was acquired in a 1031 exchange. The documentation for the cost of the property (and capital improvements) and acquisition of the subsequent property (applies to every property in the exchange history) must be kept following the procedure discussed previously. Temporary records are those used to prepare a current year tax return and do not impact a future return. Items include Forms such as W-2, 1099 and 1098. Documentation of deductions such as charitable contributions or a casualty loss is additional examples. I suggest keeping four years from the current year to allow for extension periods (e.g. we’re in 2017 so destroy records prior to 2013). Documents can be stored electronically, in fact, I highly encourage scanning documents! Be sure to have multiple backups of your data to prevent anxiety that comes with hard drive failure! Owners of S-Corporations that own more than 2% of the stock issued are prohibited from deducting business expenses on their personal tax return. The Home Office deduction is a prime example of what is not allowed. Here’s the correct way for owners to take advantage of this great deduction. First, we need to follow the rules that are provided for the Home Office deduction. The designated office area needs to be used exclusively for business. 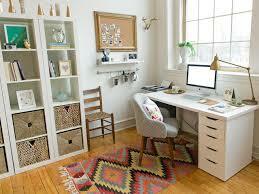 This is typically a den or spare room with a desk and office equipment. The business owner then calculates the amount of monthly expenses incurred and submits an expense reimbursement form to the corporation. Given this is a reimbursement of expenses it is not considered additional income. The next step is to calculate the amount to be reimbursed. Expenses are separated into direct and indirect categories. Direct expenses can be reimbursed in full and include items such as a second phone line, high-speed internet connection, office supplies and office equipment. Indirect expenses are deducted based on the percentage of business area in the home which is determined by dividing the business area square footage by the entire home square footage. This percentage is applied to expenses such as rent, insurance, utilities, and maintenance. Note that mortgage payments are not included as the deduction of mortgage interest addressed in a different section of the individual tax return. I recommend the reimbursement process be handled in a professional manner with proper documentation and paid periodically, preferably monthly or quarterly. Following this procedure will move the deduction to the corporation which in turn will flow through to the S-Corporation owner in the form of lower taxable income. The Limited Liability Company (“LLC”) is a term used loosely in the tax universe. Many do not understand this entity, the intended purpose and tax implications. This article provides an overview of the basics for tax purposes and is not legal advice. Advice from a qualified attorney should be sought any time rights and obligations are being considered. This topic can be quite complex but the objective is to provide an overview. The LLC entity is a state law creation, not federal law. California LLC law came into place in the mid-1990s and revised in 2014. The purpose of the entity is to provide the owners, referred to as Members, enhanced legal protection compared to an individual or partner in a general partnership. Again, consult a qualified attorney for information on rights and obligations of LLC members. A wonderful use of the LLC entity is for holding ownership of rental real estate. LLCs formed in California pay a fee, not a tax, based on Gross Receipts, not on taxable income. The fee is based on a graduating scale of receipts. The fee begins at $800 and caps at $12,590. A business choosing the LLC entity could pay substantially higher fees when compared to choosing a corporate entity. LLCs are considered “Disregarded Entities” for federal tax purposes. This means the managing member(s) of the LLC must choose how they will be taxed for federal purposes. The entity will follow the tax rules for the tax entity chosen. If there is only one member, the entity is call a Single Member LLC and can choose from filing Schedule C (Profit or Loss From Business), Schedule E (Supplemental Income and Loss (rentals etc. )), or a corporate entity (addressed below). 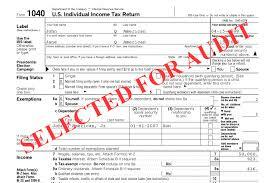 When Schedule C or E are chosen there is NO separate federal return filed in addition to the 1040. California Form 568 Limited Liability Company Return of Income is filed annually for the LLC when the 540 is filed. LLCs with multiple members can choose from a partnership or corporate tax entity. The most common choice is partnership due to the legal benefits (see a qualified attorney). Some managing members choose a corporate entity which is generally not recommended by experienced accountants such as myself. The reason for not choosing a corporate entity is redundancy. 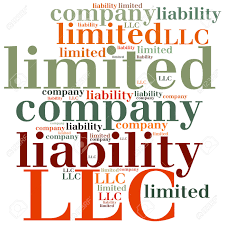 Most choose the LLC entity for liability protection and these benefits are inherent in a properly operated corporation. I have assisted in evaluating clients choose the proper entity based on their tax objectives. I also work closely with the client’s legal counsel to ensure they fully understand their choices and the requirements associated with their decision. I can help! Please call me at (714) 998-9244.